Available in 9hp and 13hp. Fradan has taken Power to the next level with the New Vortex. 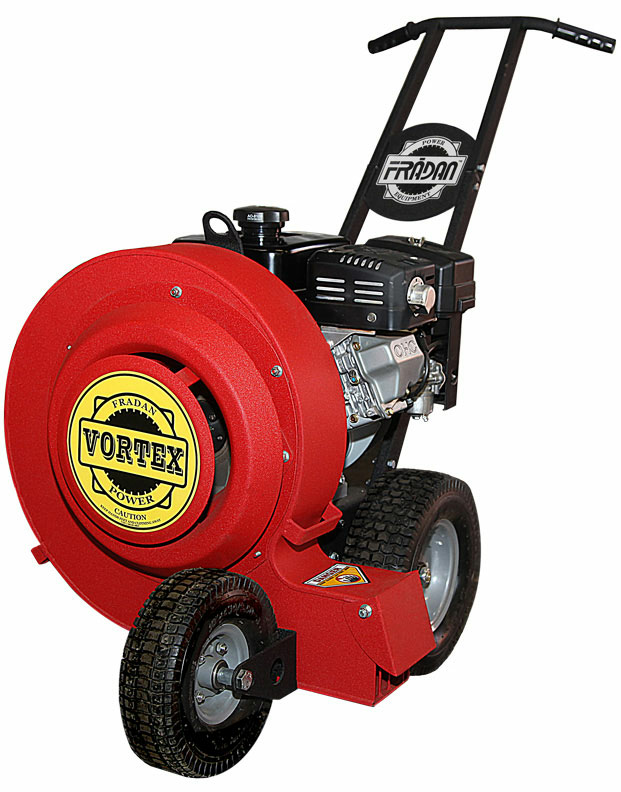 This small lightweight sleek design allows the consumer to have lots of power in a light easy to handle blower.The Vortex Series comes equipped with a new aerodynamic sleek lightweight design offering more force due to increased CFM and air pressure while reducing noise level. This series comes complete with lift handles on BOTH sides of the unit – making this a first in ground blower history.